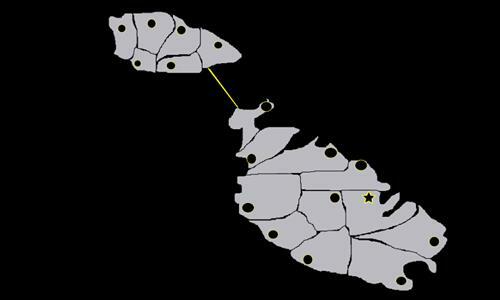 This is a great map of Malta. Review by Daryle on 4/25/2015. Thank you for your review. Yes, of course it's a short game. This was why the map was created initially. Review by [GeZyS] sajdon (RETIRED FROM WL, THNX!) on 3/5/2016. Review by Ashtagon on 1/23/2019. Not enough strategic complexity. Doesn't conform to political or (aside from coastlines) natural feature borders.